With the August 21st primary right around the corner, do you know which candidate in House District 30 (Sheridan County) has pledged to fight for gun owners? Further, do you know which candidate is REFUSING to tell gun owners where she stands on radical gun control? 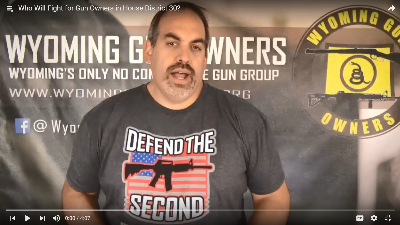 With so much at stake, WYGO has prepared this short video update for gun owners living in House District 30. Please watch it here. P.S. To see where the candidates stand on your gun rights in House District 30, watch our video update here.